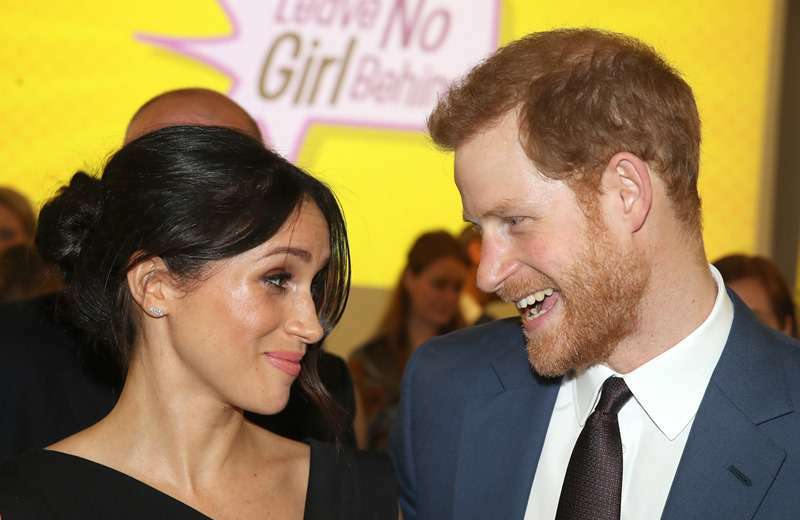 Shortly after Prince Harry and Meghan Markle's royal wedding, the official cipher of the Duchess was revealed. It featured the elegant calligraphic “M” with the coronet sitting above; the design thereof included the Christian cross, two fleur-de-lys, and the half-flower leaves. She received another special gift from the Royal family, the Coat of Arms, depicting the symbols of her native land California – it inlcuded that state flower, golden poppies, and two golden rays piercing the blue shield as a symbol of the sun and the ocean. Now, the Sussexes have a new joined monogram, which is absolutely romantic. It is the graceful H and M that intertwine together in a royal blue color, almost the same as the one late Princess Diana had. The coronet on top has the same details. For the first time, this cipher appeared on The Today Show in Australia. The Show host, Georgie Gardner, was showing the thank-you letter he received from the newlywed couple. They expressed gratitude for the “thoughtful wedding” gift, a picnic rug featuring a print of the Australian landscape, sent back in May after the nuptials. The elegant joined monogram was placed on the top of the paper, right in the center! It has the same cursive style as Harry’s and Meghan’s individual ciphers, and all the calligraphy lovers would totally sing its praises. According to Paper Source store CEO, Winnie Park, Meghan Markle was good at her part-time job as a calligraphy teacher and had sporadic work a wedding cards’ writer. The Sussexes monogram is just too good to be true, don’t you think? READ ALSO: Thomas Markle Is Afraid He Might Never Speak To Meghan Again: "I'm Really Hurt That She's Cut Me Off Completely."